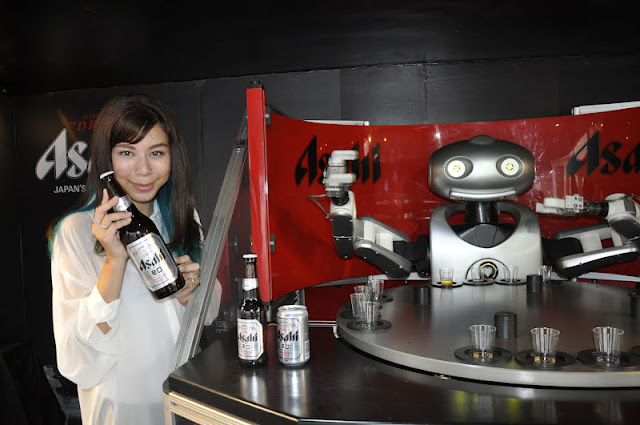 I was at the Asahi Roadshow at Sunway Giza last week and I met Mr Asahi for the first time, no, not the man behind the beer, but the first robotic barman who will serve you beers!! 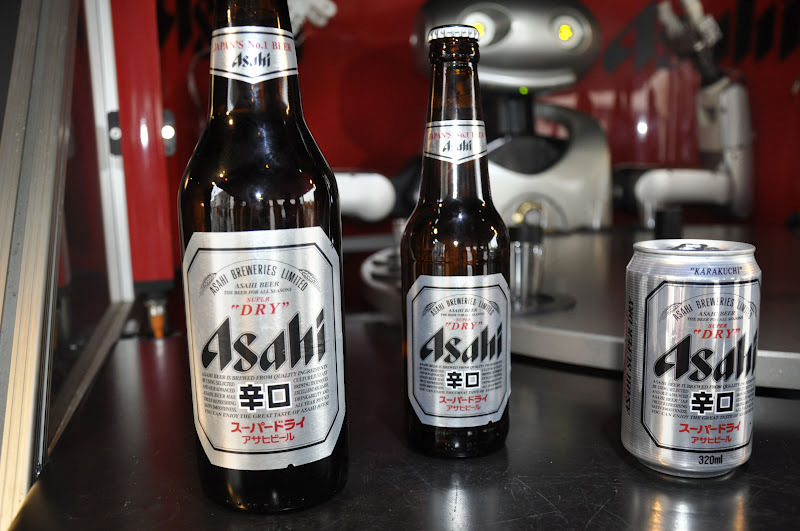 Mr Asahi can serve up to 16 half pints or bottle at a time! 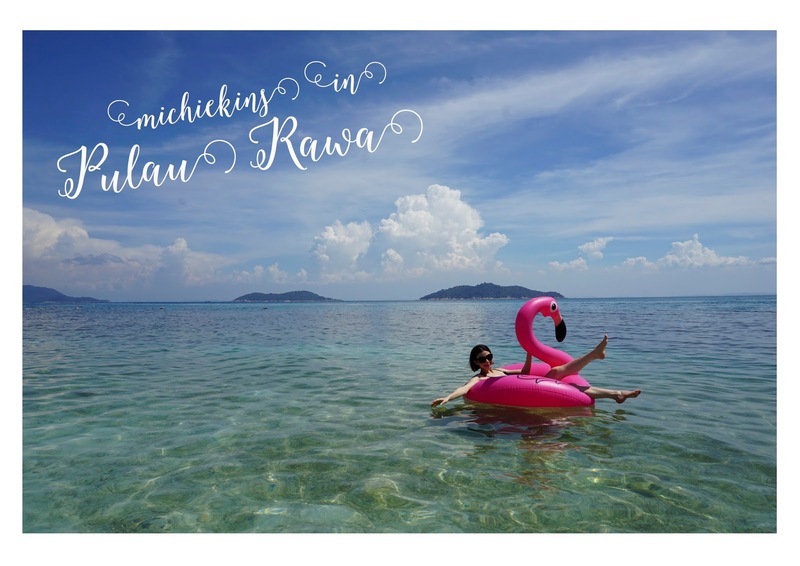 How amazing is that! The Asahi beer is introduced in 1987 and the word ASAHI means Rising Sun. Karakuchi is a unique brewing method using a special yeast strain, and they added the adjective “ SUPER “ to reinforce the beer’s cripness! Not forgetting, Asahi Super Dry is Japan’s first Karakuchi (dry) beer! The Asahi Super Dry is packaged with a metallic exterior, boasts a unique karakuchi style which is clean, crisp, and refreshing with no bitterness. 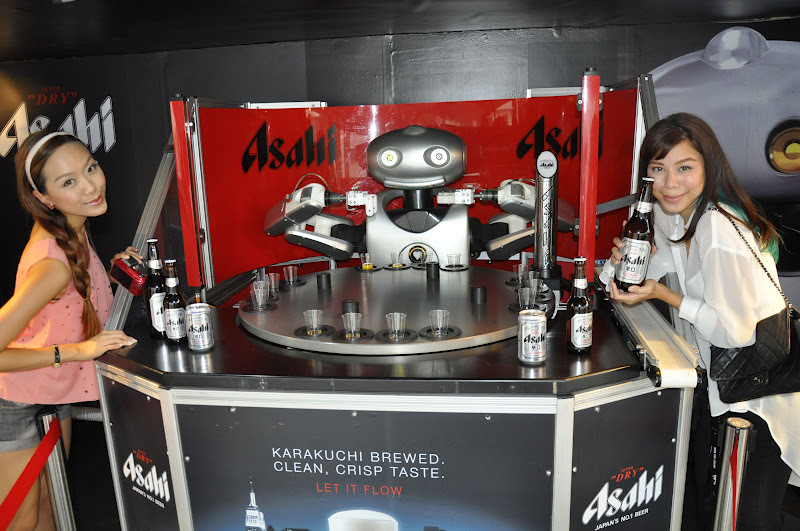 This amazing robotic barman, Mr Asahi is the brainchild of the Japanese brewer and is capable of serving people in less than 2 minutes, saving an average person 13 minutes at the bar! Mr Asahi is capable of pulling 300ml pints and opening bottles and able to serve up to 16 half pints or bottles at the time! I was in Japan last year and it was an awesome trip! I went to Tokyo,Osaka, Kyoto, Lake Kaweguchi and Nagoya. Japan is truly an amazing place to be as the culture is so different and of course, I had a couple of Asahi beers to support their local beer. Not forgetting that I also saw the big Asahi beer tower in Tokyo. It was Gold and White in colour. Gorgeous. It is definitely No. 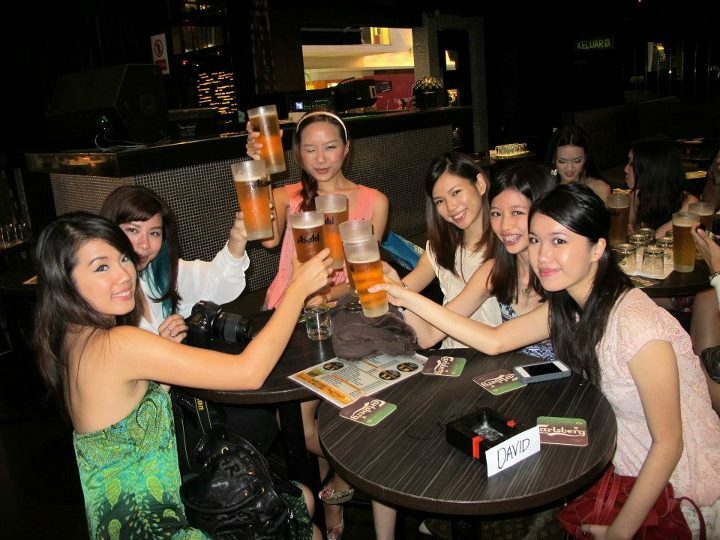 1 Japanese beer in the world and of course its one of the fastest growing premium Asian beer as well. 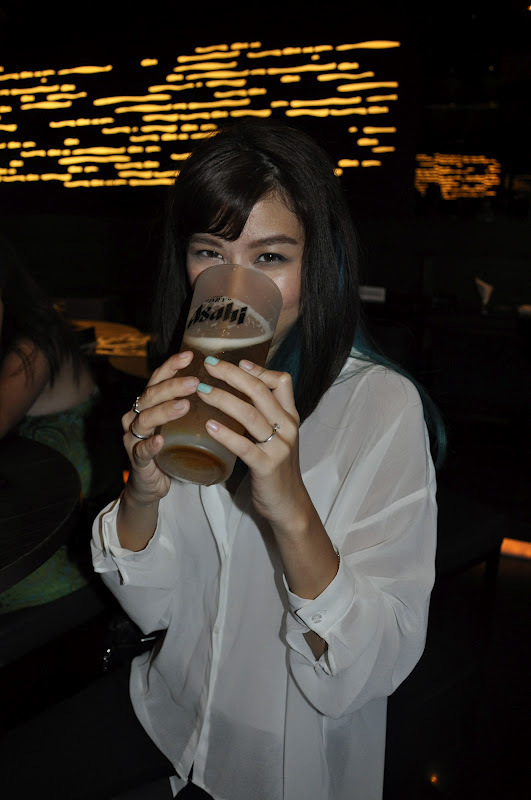 After visiting the Asahi Roadshow, we decided to move over to Movida for more awesome happy hour deals on Asahi draught! Buy 1 get 2 FREE before 8pm! Malaysian’s Hottest Bloggers love Asahi! Mr Asahi is currently on a nationwide tour in his customised truck along with his crew dancers and DJ. 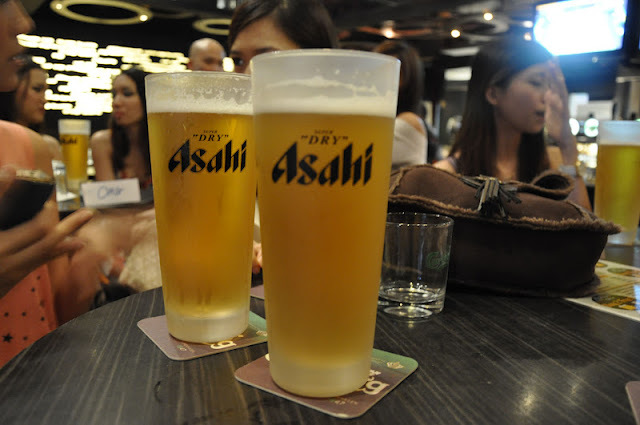 You can now enjoy the refreshing Asahi draught poured by Mr Asahi himself! Crispy pop corn will be served and also there will be FUN games, so remember to participate and win yourself some amazing prizes!